A chilling interpretation of Shakespeare’s badass Scottish at the supremely atmospheric Beer Quarry Caves. 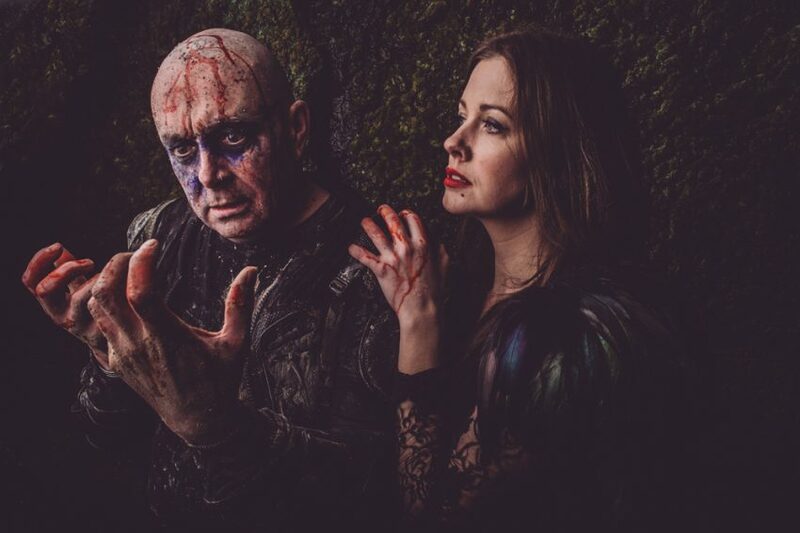 Four of Swords’ subterranean version presents the Witches as Viking priestesses and goddesses of Destiny who guide the audience through the labyrinthine caves and twisty cavernways of Macbeth’s homicidal ambition. The show features Shamanic techniques, haunting live music, gruesome film projections, a quad-bike, Icelandic chanting, a splash or two of gore and even some Highland sword-dancing.